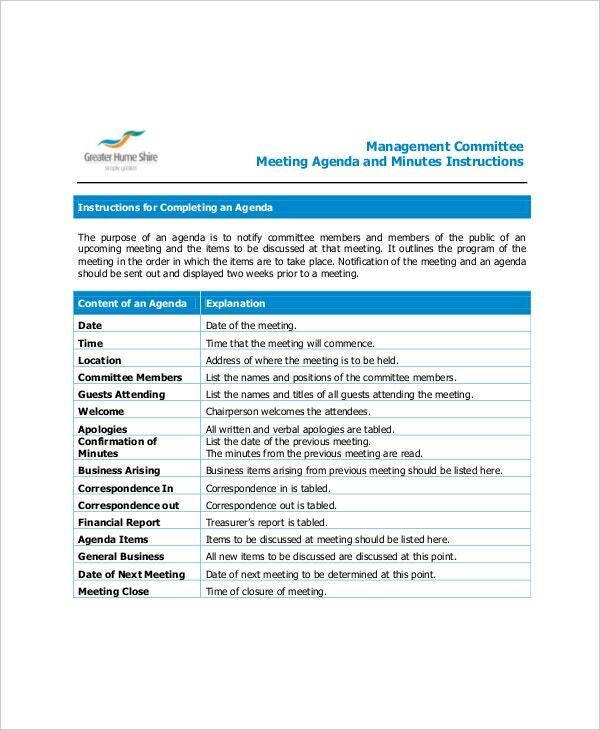 Finding ways to improve your committee meeting processes and have more effective meeting agenda? Having a hard time regulating the conduct of your committee meeting? 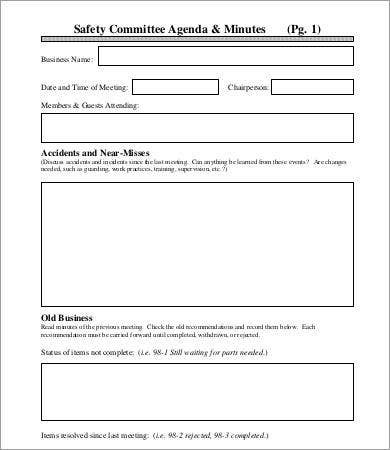 What you need is a high-quality committee agenda template. 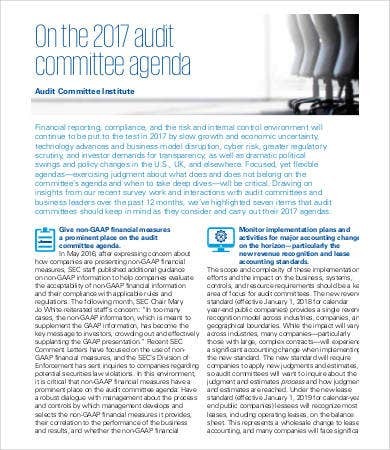 Committee agenda provides the scope and limitations of a certain meeting. It guides the process of the meeting in order to prevent off-tangent questions and discussions. 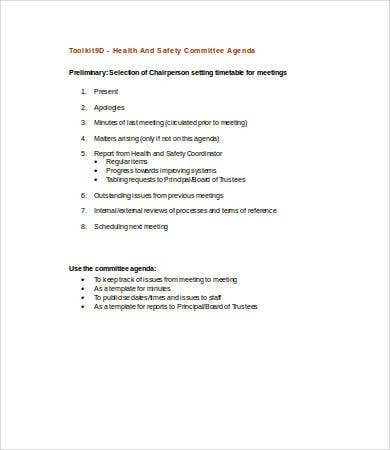 Our templates are patterned to suit various purpose of a committee agenda. They are high quality and can help you make your meeting more productive and worth while. Moreover, we also have other topics concerning agenda templates that you can choose from. To access them, click on the provided link. It is relatively brief. There is no need of explaining every agenda. It must be brief and concise. In connection to this, the language used must also be simple and easy to understand. 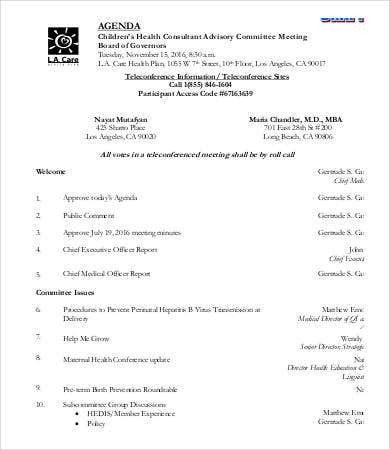 Mostly the topics in the agenda are drafted by the secretary or any authorized person by the committee with the approval of the officers of the committee. The secretary should not come up with his or her own agenda especially when not authorized. There is a choice if you want to arrange the topics in a descending or ascending order. Descending order could mean from the most important topic to the least one. 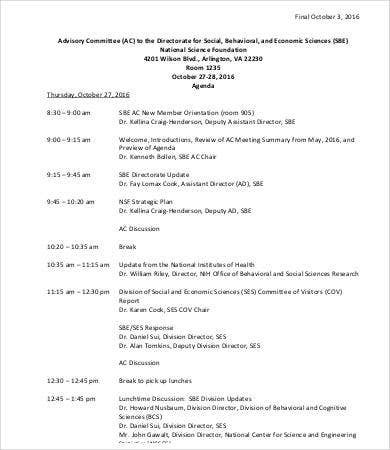 On the other hand, ascending agenda could mean from the least important topic to the most important one. 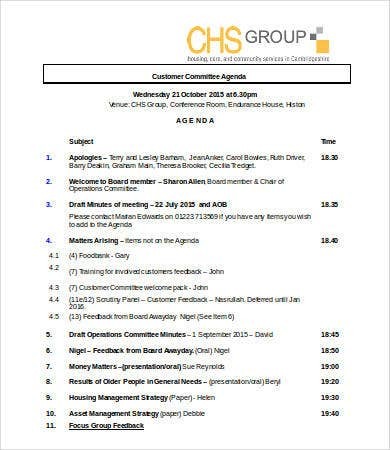 These are just some of the characteristics of a meeting agenda templates. 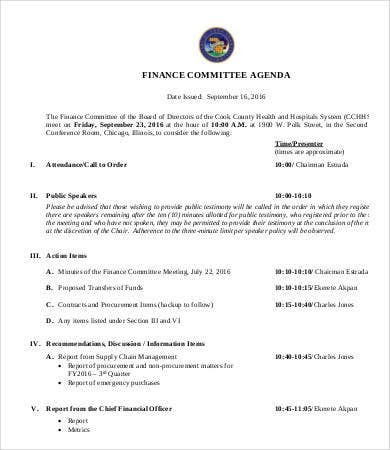 You can also freely check out our event agenda and formal agenda template if you are holding other events. Instill focus among the members. 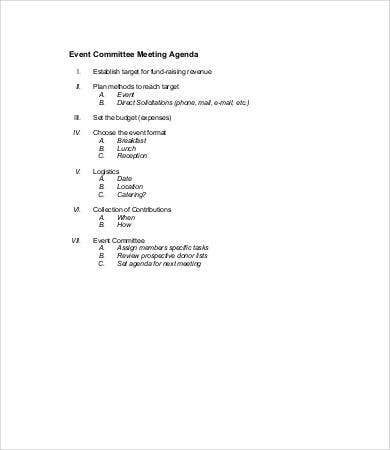 Agendas can help the members of the committee focus on certain topics. The meeting will be more productive if they know what are the right and proper questions to ask. Emphasizes the value of preparation. 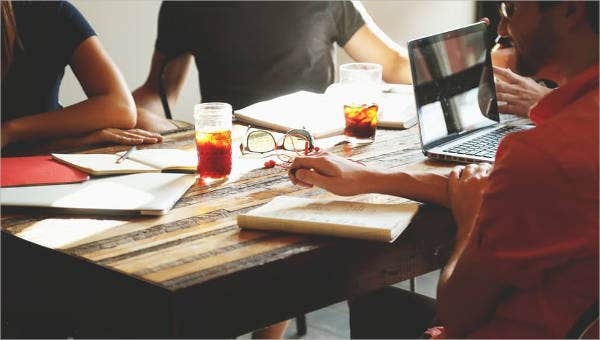 Because meeting agenda are given to the committee members beforehand, they are given the chance to prepare the needed documents that they should bring. They will also prepare the things they want to share or raise in the meeting. Time management. The meeting will start and end as planned. The committee members will know the priorities within the day. It can definitely eliminate undue excuses and off topic questions. It ensures that everyone is on the same page and riding the same boat. 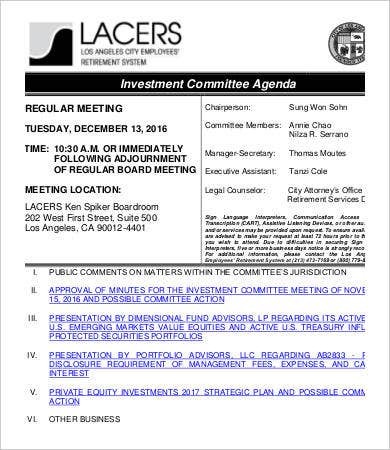 These are just some of the pros in using our agenda templates in PDF. You can also try our training agenda templates to help direct the flow of your training activities and our professional agenda template for other business matters.